In the desert within Mojave National Preserve you can find some of the darkest skies in Southern California. 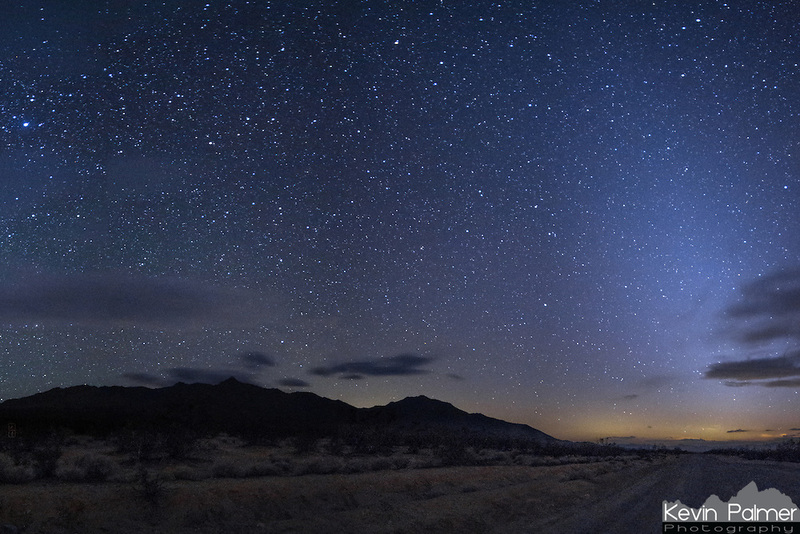 It was dark enough to see the zodiacal light, which was visible 2 hours after sunset in the west. The light is made up of dust particles within our solar system illuminated by the sun. Beneath the ghostly light you can see evidence of light pollution from cities to the west.